Where do you think your identity lies? Material possessions? Relationships? Addiction? Religion? Money? If someone were to describe you, are you who you want to be? Are you happy with how you would be conceived, believed? I know it all to well – the feeling of worthlessness. It’s one of the worst feelings you can feel in this world. You feel sick with hurt. You feel purposeless. You feel like nothing. You can’t stand up because the world is pushing you down to the ground. How do you bring yourself back up? How? Do you repeat what got you there in the first place? That’s the natural reaction, isn’t it? Because you think it might work this time. It doesn’t though. Find your worth in something everlasting. Find your worth. It’ll save your life. I can’t quite describe where I’ve been the past few days. In a daze, a maze. My mind has been pre occupied, simply, with life. What if you don’t feel safe in your home? What if you don’t feel at home? even if you do live there permanently, maybe it isn’t your home. Maybe you feel at home in the forest you love, or in the library reading books, or at your friends house. Personally, I think your home is where you feel at home. Personally, my home isn’t where I was born or the 6 different places I moved around in one year. My home is here, in my college dorm. This is where I feel most at home, I think. Home is where the heart is, surely. Hey guys, for today’s post I thought I’d review a book for you all. 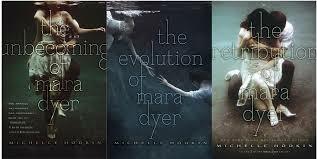 Recently, I’ve been reading the Mara Dyer series by Michelle Hodkin. The Unbecoming of Mara Dyer is the first book of three. I’ve read the first and second and I’m going to read the third once I’ve finished reading Asking For It (also a great book.) I know, I know, it would make more sense to wait until I’ve finished the third book but it’s so good that I literally can’t wait. I feel as though I have a fairly clear idea of the story and characters though because after all I’m more than half way through the series. The story line is absolutely brilliant. It’s about a girl, her best friend, her boyfriend and her boyfriends sister. One day they go into a building together to sign their their names on the wall. The building collapses. And Mara wakes up in hospital with no recollection of what happened. All she knows is that her friends and boyfriend couldn’t have survived it. Was it her fault? She and her family move away to a different city and Mara starts in a different school where she sees Noah. Noah has a reputation and not a good one. Somehow, they are drawn to each other. Noah and Mara’s grandmother both own the same necklace. How? Why? Loads of peculiar things start to happen and they try to figure it out as best as they can. Mara doesn’t know what’s real and what isn’t anymore. 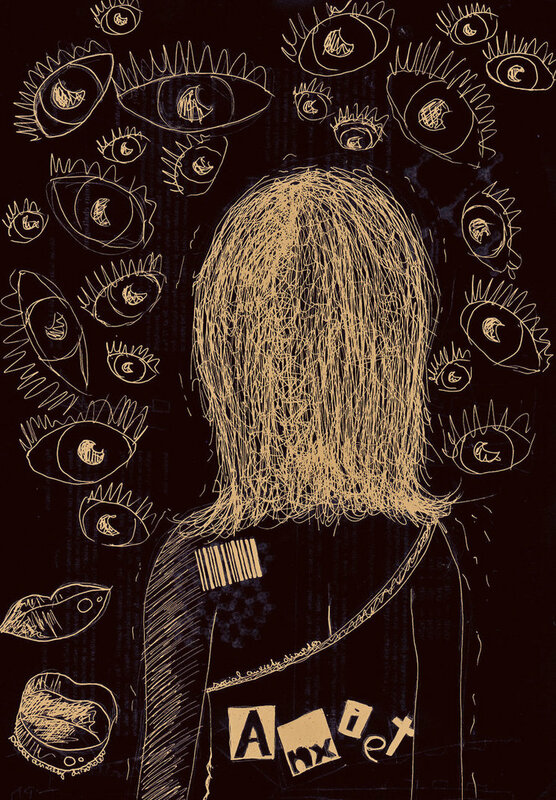 They’re searching and searching, trying to remember what happened that night, trying to figure out what makes them different to others and if they are the only ones feeling and acting like they are. It’s amazing! To be honest, I’m really not sure I have one. I know, I know.. boring answer. I feel like my favorites are meant to be the two main characters – Noah and Mara. I also love Mara’s brother but Noah and Mara are my favorite characters because you just get immersed in their personality it’s unreal. I absolutely love books but I need to read page turners other wise I get bored and stop. This book is a definite page turner. It keeps you guessing for the whole book, it has twists that you would never ever think of. You think the characters and going to do one thing, or the book is going to go this way or that and you think you’ve thought of every possibility. But you just haven’t! Trust me. Noah – I wasn’t sure about him at the beginning. I don’t think we’re meant to be sure of him. The story seems like it’s going to be one of those bad boy/good girl things but it wasn’t because Noah changes. His reputation is being with a lot of girls and every girl being interested in him. However, when he meets Mara, that changes. Everybody thinks she’s just going to be with him for a short period until he gets bored but that’s not the case. Noah is quite hard to read at times and Mara notices that. He’s really calm most of the time and he really loves Mara. He goes to all lengths to protect her. He isn’t the same with Mara as you would expect him to be with his reputation. He respects her. Mara – Mara spends a lot of time in the books being confused about whats going on because she doesn’t understand what’s going on which makes her so motivated to figure out whats going on. I love her though, she’s an incredible character and she is really intelligent. I just love everything about these books! Did this book make you laugh or cry? I cried. I cried? what? If you’ve read my book tag post, you’ll know that I wrote there that I never cry at books and its true.. I’ve never cried at a book before until the end of the second in this series. I ran to my friends room who kindly let me borrow it having to calm myself down. Reading the last few pages, my heart was racing wondering what was going on.. and I had to go and speak to her about it because I was so confused and amazed by the author. It was incredible! I think you get it now.. these are my favorite books. I don’t have one bad thing to say about them. I kind of wish I did so that I could have a balanced review. Let me know if you read it! or if you’ve read it and hated it then also let me know aha! For weeks and weeks. And weeks. I’ve been scared and stressed, filled with dread. For what? You might ask. I’m covered by a mask. I walked into the exam room, not being able to concentrate on anything apart from how loud my heart was pounding. Maybe my tutor can hear it too. It’s. So. Loud. Freak. That’s me. I could see the huge, intimidating mirror across the entire length of the room from the corner of my eye. The girl in the mirror stared back at me, her eyes were glazed with a clear blanket of water. Collect yourself. It’s ok. It’s ok. I don’t even understand why I feel nervous. Well actually, I do. I don’t want to fail, I don’t want to fail myself or my tutor, I don’t want to make a fool out of my self, I want to do well. My obsessive practice has to be enough, doesn’t it? Maybe it wasn’t, maybe I don’t actually know what I’m doing, maybe I’m not good enough for this. I turn away from the petrified girl in the mirror. It’s hard, you know. Trying to go against every reaction your body wants you to have. It wanted me to panic. To fear. To run away. To give up. My tutor looks at me, tells me he’s confident in me and knows I can do it. He knows how nervous I can be. After all, I’ve had plenty of break downs in his midst. He knows it all to well. You might think this is over reacting, but every time I need to do something that puts any sort of pressure on me, I freak out. I’m learning ways to help me cope with it though, I am trying. This time, in particular, it was my vocal assessment singing six scales in different keys. Recorded. Kept forever. Judged. Looked back on. Graded. It had been scaring me for weeks. Months probably. And it came. I couldn’t fail. I just couldn’t. Deep down, I knew. I knew what I was doing. I just didn’t trust myself. It happens every single time. I hope one day, through God’s strength, I’ll believe in myself fully. Don’t doubt yourself as much as I do. It’s not worth it. You are more than capable. Trust yourself. Trust God. Today I wanted to share some of my favorite quotes with you. I’ve gotten myself into a little routine here on this blog, haven’t I? So far so good. I’ve been writing every day and every second day is a poem/lyrics post. I hope you’re enjoying reading because I love writing. Each day, I try to write something in my journal so that I have a poem to put on my blog and most days I don’t think I’m going to manage but I always do. Some how. 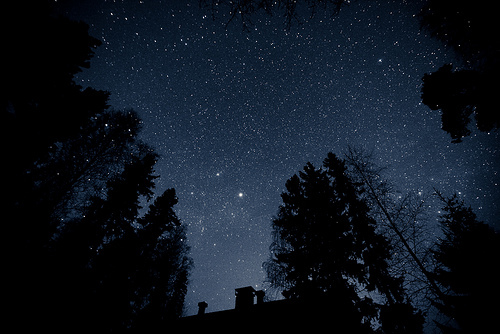 I’ll doze off to sleep and be shaken by my mind racing with new ideas, or someone will say something that will spark creativity, or I’ll sit with my laptop in front of me and just think. Think. The thoughts are often there, there’s so much to write about in life that it’s just getting them down on paper that’s the trickier part. But it’s also the most amazing part. Writing, I mean. Getting things out of your mind and constructing them onto paper in front of you. Trust me, it really helps. Even if you don’t understand a situation, writing helps to make some sort of sense out of a situation. Try it. Anyway, I love quotes. And thank you to Eilidh (Turning The Faucet On) for suggesting I also do this. You should definitely check out her blog by the way. She writes incredible short stories and inspired me to carry on my blog. I’m not sure I’ll be as good as her at explaining my reasoning behind why I love and picked these particular quotes to hang on my pin board in my room but never the less, I shall try my best. I’m in a bit of a rambling mood today. I could literally just stop the post here and it would be enough writing for a blog post on its own. Why am I still blabbering? Ah, Sorry. Quotes. Yes. Courage. What a concept. If we have courage we are more free and that’s what I love about this quote. Before the summer, I didn’t branch out at all. I had my little box and stayed in it. Every time I stuck even a hand outside of this box, I’d freak my self out and scurry back inside, you know what I mean, right? But then, I went to Africa. Africa. An adventure. 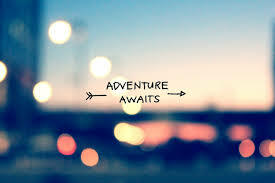 Behind all of my nervousness, I’m definitely an adventurer. definitely. 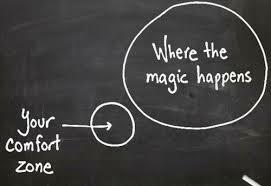 And this quote just encouraged me to have courage, to step out and be free in what I want to do and accomplish in life. While setting up for an event I was holding to raise money for going to Rwanda, I was looking for quotes to write out cutely and put on tables for people to take home and I came across this one. It kind of just, stuck. Isn’t it beautiful? It just tells us to keep going, keep going even when we feel like we might fail. It tells us not to let ourselves fade away but to keep singing and keep going. Especially since I study music, I like this. Although, I don’t take it literally. I mean, I don’t think it means that I’m not allowed to die until I’ve sung my favorite song. That’s just my opinion though. I just think this is so so important. In this day and age we focus so much on success. What is success? Well, to this world, it’s money. Fame. Family. Fortune. All of these things. I just think we have to be careful not to get happiness and success mixed up. The African kids were the most enthusiastic people I had met and they had nothing but Jesus. They’re stories were painful to hear but they were happy. That says something. There’s a difference people. This question really hits home for me. I mean, we all know the answer that the questions wants us to give. It wants us to say “Life is an adventure to be lived” but I know for me I often treat life as a problem. Another problem after another and another problem. Its hard to notice the things that are going well when your mind automatically focuses on the problems. Ya feel? I just think life is meant to be an adventure and we need to live it.. really live it. In other words, don’t let just anyone there. Your heart is where you love and love is one of the ( if not the ) most important thing in life. Guard it. It’s precious. This one helps me in times when I feel helpless, not good enough, unworthy. It gives me hope. Man, I just love this to pieces. It’s brilliant. Interpret it however you like but it’s so true. This kind of links with one of the previous quotes. I just like the truth of it. Love is such a strong feeling. It can be the best and worst thing all at the same time and that’s what makes it so beautiful. This one helps me not to focus on pain but to use any pain I’ve felt to know what happiness is, to help other people, to use it positively and not to be drowned by the negative side of it. It’s hard to describe. So simple. Yet so true. I love this because books do have the power to change us. We can be so influenced by others around us and what they have to say that it can change our thought processes and the way we look at particular situations. Books are incredible. This is also why I write, to be changed and to bring change. Sorry, I ended on an annoying number. I can just hear you say, “Lisa. Why. Why didn’t you just stop at 10? Or carry on until 15 or 20? Preferably 20.” Sorry, my bad. I do have loads and loads of other quotes that I love but those are just some of them that are on my pin board at the moment. Have a good day (or night!) where ever you are in the world. 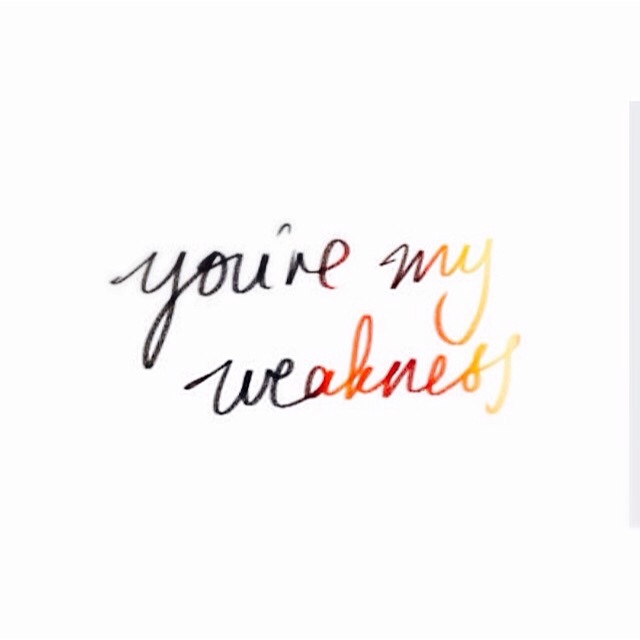 I want to be your weakness. Will you be vulnerable with me, let me see. It’s ok, you can let me in. that we’ll manage some how. Or is it true? You don’t want me and you? You speak about the places you’ve been, the things you’ve seen, your family, your friends. I could listen to you until the world ends. The sound of your voice is a comfort to be in. I want to learn everything. All of this goes through my mind and I checked with Eilidh (even though she isn’t my mother so I don’t know why I thought she’d be any more knowledgeable than me :’D) But I always need a second brain for these things either way aha! After I filled in the form and gave the lady my ID to check, the tattoo artist and I decided on font. He already had a picture of the words I wanted and he knew I wanted them on my wrist but the discussion isn’t over there. Size, placement and font needed to be discussed. Be prepared to be open minded as well, listen to their advice because they know what they’re talking about. 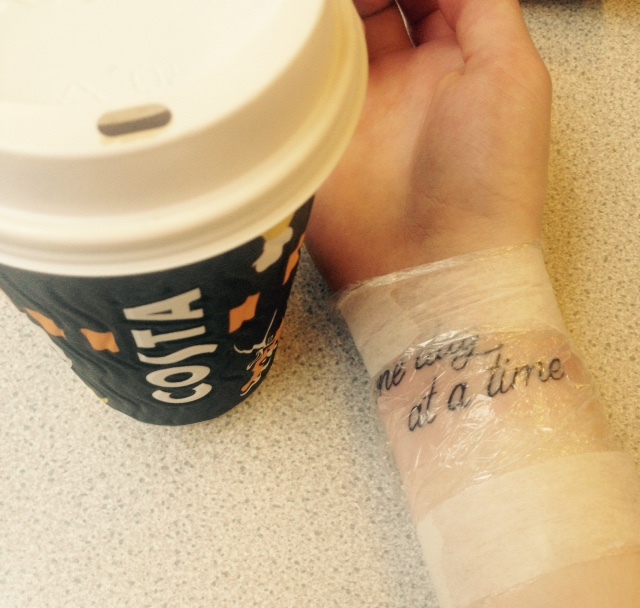 For example, I was planning on having ‘one day at a time’ in one line on my wrist. Can you imagine how small that would’ve been? And he explained that in a few years the letters would be so small that they could join slightly. None. Of. That. So after deciding on a font, I consulted with Eilidh about the position of the tattoo because my mind often goes hazy when I need to make decisions in social settings. It’s great. Especially when its a tattoo that will be on me forever :’) I’m so glad she was there because I talked to her about it and decided that having ‘one day’ and then just below it ‘at a time’ would be best. And low and behold, I love it even more than what it would have looked like if it was just in one line. Now the writing is bigger and lovelier. So, just be prepared to be open minded and slightly alter the way you might have had it in your mind. And then he took the tattoo gun and started with a little bit before asking me how it felt. It is sore, I mean its a needle being dragged through your skin but because he just does it little by little, the pain comes and goes. It really isn’t that bad. Totally bearable. You also get used to the pain as well. Even though I got used to it with every passing moment, a shiver still went through my body from my head to my stomach every time he put the needle in aha! It probably took about fifteen minutes for the actual tattoo. It passed really quickly. Once it was over he wiped any excess ink, then he wrapped it with cling film and microporous tape. Joe ( the tattooist ) talked to Eilidh and I for a little while afterward and told Eilidh that it feels like a butterfly kissing you with really sharp teeth :’) He was pretty funny. He told me all of the after care stuff and then gave me a sheet to take away with me. After I left, I felt on top of the world. As I said in previous posts, the adrenaline is insane. I felt on top of the world and like I could do anything. it’s great. Keep it covered for the first day (or I did.) and change the cover every 3/4 hours. After every change, clean it with warm water and a little bit of soap, then pat it dry (don’t rub or itch it!) and put a fresh cover on it. Keep it covered for the first 3 nights or so depending on how long it takes for any excess ink to come of. You probably only need it for 1 or 2 nights but it depends. For the first few days, you can keep it uncovered at home but if you go somewhere where it might get infected then it’s probably best to cover it. However, I only covered it for the first day and now I just covered it at night. Keep cleaning it a few times a day for the first few days. (Isn’t this such an Instagram worthy photo though? am i right?And there we have it! I wish I had eyes on the back of my head, to feel unread. I tense every time I walk in front of someone and they’re laughing with their friends. I wonder what they’ve said. Of course. I’m out of place. I can feel the hairs prick up on my neck. I can hear my heart racing to the sound of my pacing. I hope I don’t see them again. I’ll probably see them in ten. They hate the way I look. My eyes fill with tears needing to get out of here. What if I have a panic attack and see me thinking I’m dying. Wait, I recognise the voice. My friend? She’d never want me to shed a tear. Its my mind, my social anxiety that imprisons me in my fear. Yesterday I got a tattoo! And I really wanted to share it with you. 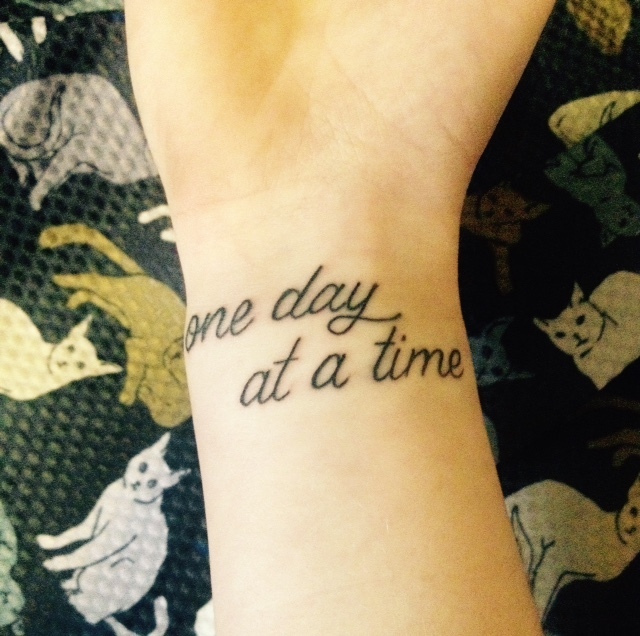 I got ‘one day at a time’ tattooed on my right wrist. There are a few reasons why I chose this particular quote. Inspirational quotes are just my thing. I love them. I write meaningful things and hang them on my wall and it’s nice to look at. 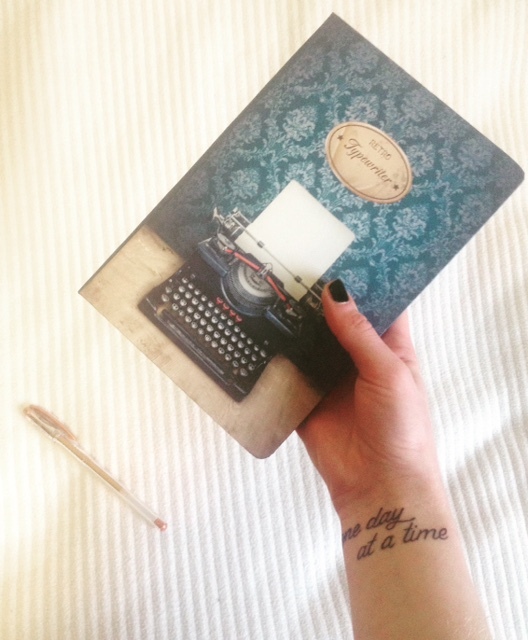 However, ‘one day at a time’ made it onto my skin because its the one that stands out for me and the one I want to wake up and read every day and everywhere I go. I’m constantly stressed. I feel like it’s just the way life is going to go for me. I worry a lot and it’s because I care a lot about a lot of things. My stress is often (more often than not..) unnecessary but I find it difficult to realise that a heck of a lot of the time. The words on my arm just remind me to breathe, to take my time and to not look so far a head that I can’t see clearly anymore. It reminds me, literally, to take one day at a time because I can often take a thousand days at a time and you can imagine how stressful that is in my mind. It isn’t healthy and I love that every day I can be reminded to take life day by day. On a more serious note, the tattoo on my wrist is also a recovery thing. 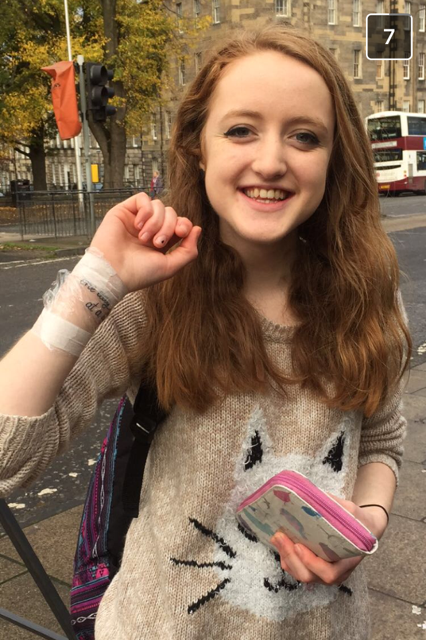 As well as stress and anxiety, I struggled with self harm for a number of years. The tattoo is so that when I feel triggered, I can look at my wrist and take a second to re think what my mind is telling me to do. So that on the more difficult days, I can be reminded to get through each day, one by one, without acting on my impulses. And so that I can be proud of myself. Oh and it’s on my right wrist simply because I’m right handed so I do everything with that hand in case you didn’t already guess. Pain wise, it feels like exactly what it is – someone dragging a needle in your skin. There’s no other way to put it. The pain is totally bearable.. I mean, I cry at getting my eye brows done and I didn’t cry at this. If you’re wondering whether to get a tattoo but are worried about the pain, just know that it is a bit sore but if you want the tattoo enough it doesn’t even matter and its totally worth it let me tell you! Go for it! ( I might write another blog post about my whole experience/aftercare/etc if you’re interested? )So, there we have it. I hope you’re all dying to see this tattoo because I’m dying show it to you! 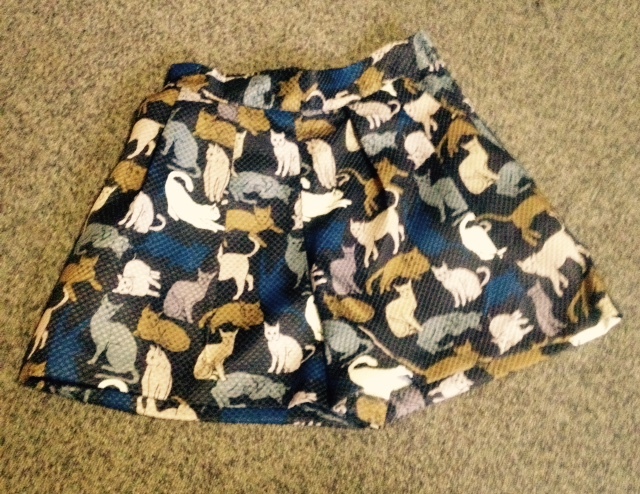 ALSO, I got these funky cat shorts today… I mean I’m now officially utterly skint but £5 these were in the H&M sale. I couldn’t not get them… like really.. I mean look at them. LOOK AT THEM! Aren’t they just the best invention in all of history?! I think so. My eyes dart open in panic. I can hear my heart pounding in my chest. I can sense my distress. Questions fly through my mind as I try to figure out why I feel so blind. Its dark. but as I try to focus my eyes, I can see the outline of my bedside vines. I tilt my head to find my alarm I’ve double checked a hundred times. As soon as I feel my shaking, sweating, slippery skin, I know. Reoccurring dreams of my worst fear. This happens a lot, I should know. Why does it feel so near? Why is the terror so clear? I’ve never experienced it but its always in my mind. Lurking, like it could jump out at any given time. My conscience won’t let me forget the things I dream when I’m alone, on my own, it’s out of my control.